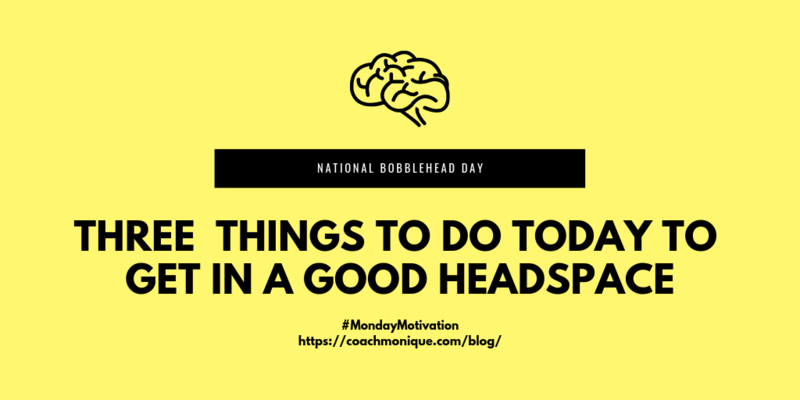 The new year is all about setting goals, making commitments and having a clean slate to work with, but people seldom talk about the headspace required to do all of these things. In order to succeed in goals, big or small, it’s important to create an environment for yourself where you can set forth the change you want to see in your life. Here’s what you can do today to create a good headspace for yourself. Sleep well. For adults aged 26-64 years, studies say you should be sleeping 7 to 9 hours a night. If you’re not sleeping well, your brain cannot be at its most efficient. Meditating before start your day can help establish the positivity that will see you through the ups and downs of your day. Celebrate the small victories. Did you clean out your messy inbox at work? Great! Treat yourself by taking a nice walk during lunch. Never overlook the tiny things that will help you be a better you down the road. Getting sleep, meditating before you start your day and celebrating small victories are all things you can start doing today to get in a good headspace. Don’t feel compelled to do all at once, though. Work on one commitment and build from there. Before you know it, you’ll be ready to take on the bigger challenges, and you’ll have the right headspace to do it.